A major survey conducted by Oakland County shows that employers are having trouble finding, and connecting with, skilled workers. The Skills Needs Assessment Project was presented to over 200 college administrators, employment consultants and civic leaders on Wednesday. The survey looked at 150 regional employers in advanced manufacturing industries, 68% of which were located in Oakland County. Based on the survey, the County was able to create customized job profiles to help educators tailor teaching to help give workers the skills needed to fill these positions. The Skills Needs Assessment Project found that employers have difficulty finding employees that have specific job skills. The number one most difficult personal competency to find is having “problem solving and decision making” skills, followed by critical and analytic thinking, initiative, dependability and reliability. Specific skills for advanced manufacturing jobs included Computer Aided Drafting, reading blueprints, measurement, mathematics, welding, troubleshooting, safety, robotics, use of power tools, familiarity with computer programs and systems, and an understanding of lean manufacturing. Skills like those would help young people be better suited for jobs as mechanical engineers, tool and die makers, machinists, product designers, electrical engineers, general maintenance and repair workers, welders, team assemblers and first line supervisors. The survey covered a variety of industry sectors, including automotive, machining, metal fabrication, and specialty services/job shops. Most of the respondents (85%) had under 500 employees, though employers with over 1,000 were represented too. It found that many employers had in-house training programs to get their employees ready for work, and explored the idea that increased internships and apprenticeships might help get high school and college-aged kids ready for the workforce. Another key component in attracting and retaining skilled manufacturing jobs to the area is the ability to connect employers with skilled employees. Advantage Oakland offers many services to businesses, including drop-in Thursdays where business owners and managers can come to have questions answered and gain access to resources. There are grants available to fund training programs. And there are eight Michigan Works offices through Oakland County that have staff trained specifically to help connect businesses with the skilled workers they need. 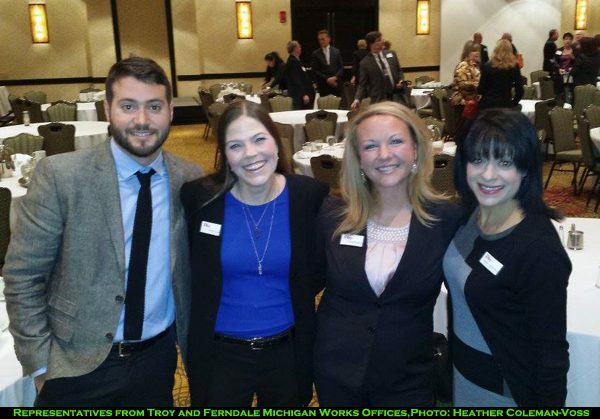 Michigan Works offices are located in Ferndale, Highland, Novi, Oak Park, Pontiac, Southfield, Troy and Waterford. The Director of the Troy Michigan Works office, Jennifer Llewellyn spoke at the survey’s unveiling. “Many employers are facing challenges finding employees with the necessary knowledge, skills and abilities to be successful for careers in advanced manufacturing. As you saw from the survey results, the challenge that ranked first was the virtually non-existent pipeline of young workers. And the challenge that ranked second was insufficient training programs to meet current demand. And I have good news, because that’s why I’m here. “The Oakland County Michigan Works System, in partnership with the State of Michigan Workforce Development Agency has several new training initiatives and opportunities that are available to meet the needs of our employers. Many people are familiar with the Michigan Works System by the services we provide to job seekers. However, not as many are familiar with the services and training programs that we provide to our businesses. The Oakland County System has a robust business services team, created in 2009 in response to demand for a more employer-driven system, the Oakland County Business Services Team is comprised of 22 business service representatives,” Llewellyn said. Services for businesses include talent recruitment, candidate pre-screening, workforce assessment, training support, labor market information, business attraction and development, hiring incentives, layoff support, networking and access to the Pure Michigan Talent Connect. To learn more about what Oakland County Michigan Works offices have to offer, check out their website at www.OaklandCountyMIWorks.com. The Skills Needs Report, including Customized Job Profiles, is available online at http://www.advantageoakland.com/ResearchPortal/Documents/wd_skillsneedsreport.pdf. 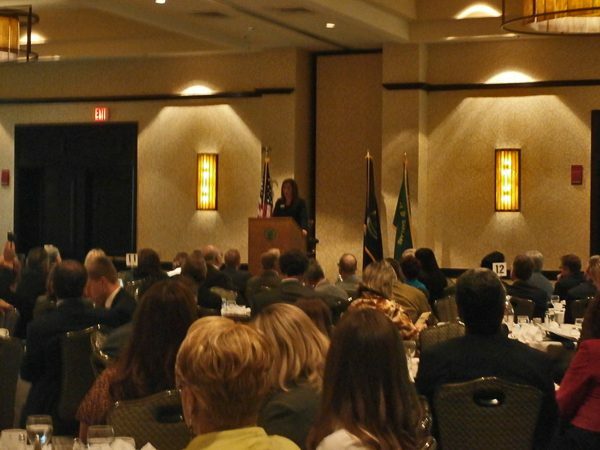 For more on Advantage Oakland, the economic development arm of Oakland County, visit http://www.advantageoakland.com.